Amongst the cacophony of electronics, devices, and monumental exhibitions on display, alongside the thousands of attendees shuffling through the halls of CES 2019, the amusing irony of stopping to admire a toilet while frantically searching for a public restroom was not lost on us. 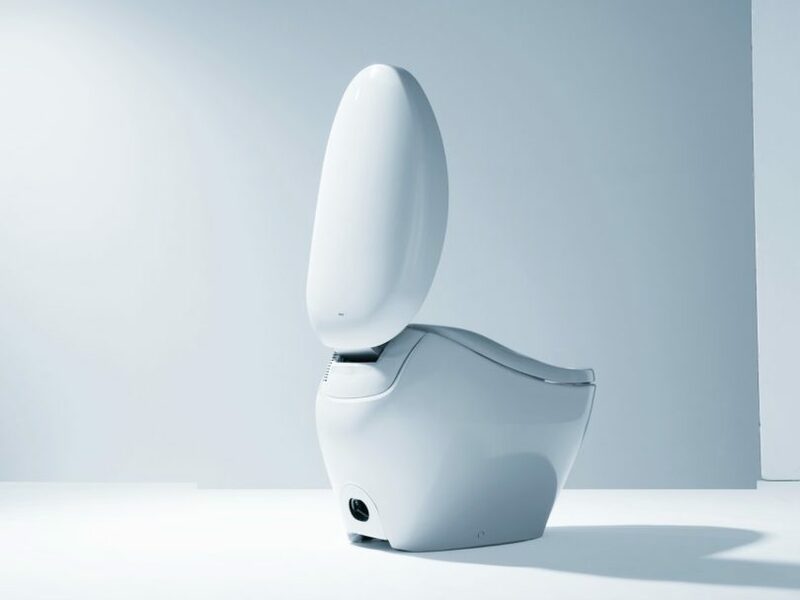 But the TOTO NEOREST NX2 Intelligent Toilet with ACTILIGHT is anything but a standard bathroom fixture, the apex of toilet technology hailing from Japan. Each of the TOTO Neorest NX Series toilets shares the same water smoothed pebble shaped design. 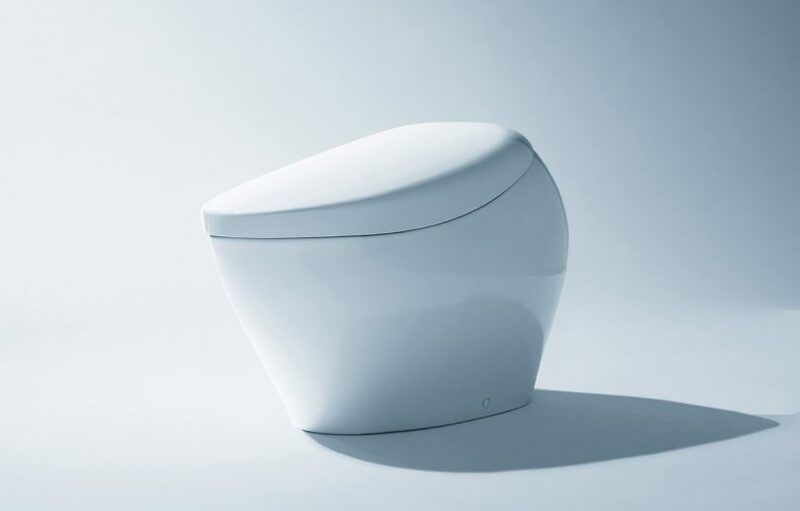 While previous TOTO Neorest toilets were characterized by a sharply angular silhouette, TOTO reps at CES stressed the NEOREST NX series now exhibits a soft elliptical profile inspired by “the natural beauty of pebbles shaped by water over time”. The design and technologies integrated into this luxe loo earned TOTO a CES 2019 Innovation Awards Honoree designation. The TOTO’s NEOREST NX2 distinguishes itself from the NX1 with an integrated ultraviolet light built into the lid, alongside a titanium dioxide surface to aid in the decomposition of organic substances. 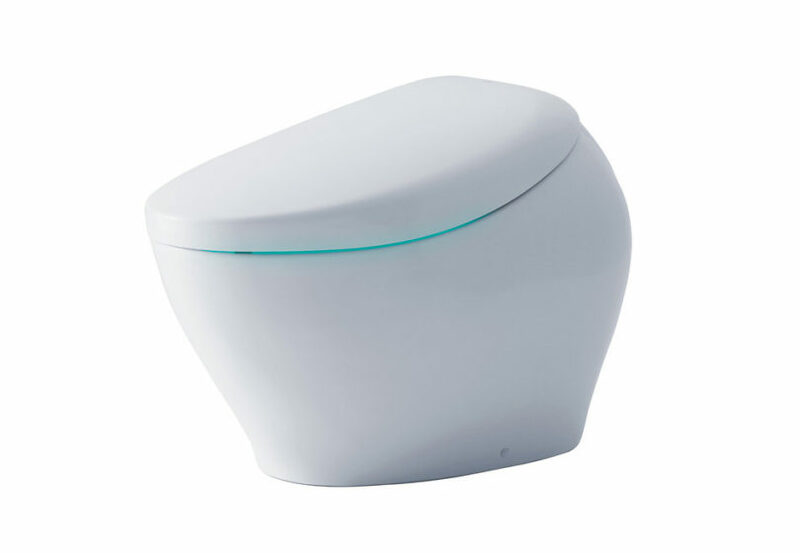 The elegant exterior simplicity of the TOTO’s NEOREST NX2 belies the bevy of high-tech features hidden within: auto open/close with auto flush, an integrated WASHLET personal cleansing system delivering a warm and aerated stream of water to cleanse, warm air dryer, heated seat, and an in-bowl catalytic deodorizer. The new NX2 prominently displayed at CES was joined by a similarly shaped NX1 counterpart, but only the NX2 includes the ACTILIGHT – an integrated UV light engineered to work in tandem with electrolyzed water and a titanium dioxide/zirconium glazed bowl, resulting in a hydrophilic surface. TOTO claims the UV light helps accelerate the decomposition of organic substance using a photocatalytic process, resulting an easy flush-to-clean cleaning maintenance feature. The $13,000 price tag accompanying the NEOREST NX2 places this toilet at the upper echelon of luxe bathroom features, answering global demands for increasingly more luxurious bathrooms options. 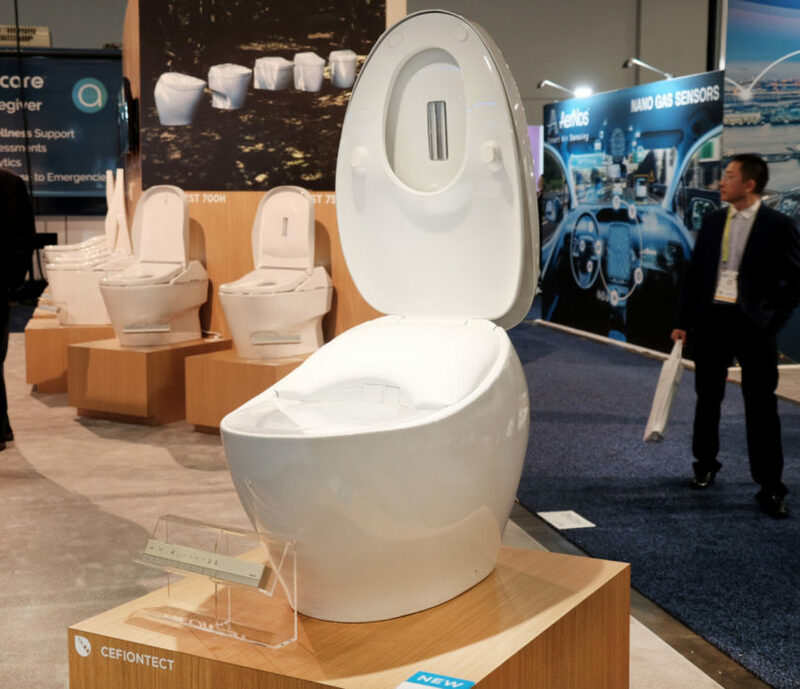 American bath and kitchen fixtures company Kohler was also at CES showcasing their own more “reasonably” priced $7,000 Numi Intelligent toilet, featuring wild LED ambient lighting and voice command, allowing user to audibly request Alexa to choose songs in lieu of a courtesy flush.